Peter Piper was on to something when he picked a peck of pickled peppers. A salty, and sometimes spicy treat, pickled peppers deserve a month of recognition. That’s why we celebrate National Pickled Pepper Month every October. Keep reading to find out fun ways to celebrate — and some important information you may not have known about the beloved pickled pepper. Bell-View began mass producing pickled products for consumers. John Mason invented his namesake jars. The process of canning was tested out and proven effective. In New York, Dutch Farmers began setting up stands that sold pickled products. People in India began to use an ancient method of pickling . Canning your own pickled peppers is a surprisingly easy process. Essentially, you just need to boil your peppers with some vinegar, water, garlic, and onion. After waiting a few minutes, you can scoop your peppers into a jar and then let the canning process run its course. Gather up a group of friends and ask everyone to bring over a jar or two of their favorite pickled peppers. Get the party started by tasting all of the different varieties. We advise having some milk, water, and other snacks on hand just in case things get a little spicy. Making an epic antipasto tray doesn't have to be stressful. As long as cheese, bread, and pickled peppers are involved, there is a good chance tastebuds will be extremely happy. Pickled products can spice up even the most mundane sandwiches. An ounce of pickled peppers clocks in at only 7 calories. Dill pickles are the most popular variety of pickled product. It is rumored that Cleopatra used pickles as a beauty product. Pickled peppers can last awhile. 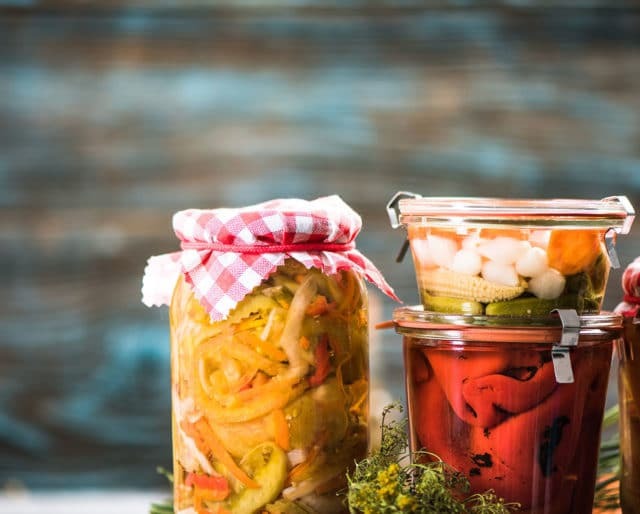 Thanks to the canning process of pickled peppers, they can safely sit in your refrigerator or cupboard for at least a year. That sounds like a pretty good investment to us. If you're a fan of pickled peppers, there's a good chance you'll think they taste delicious when adorning just about any savory dish. From scrumptious salads to hot dogs and hamburgers, pickled peppers are a tasty food topper. Pickled peppers have been the subject of an extremely famous tongue-twister that many people grew up reciting. Almost all of us have heard about the infamous Peter Piper who picked a peck of pickled peppers. Just how many pickled peppers did Peter Piper pick? Well, the world may never know.